Oklahoma is a Midwestern state with a temperate climate that falls between zones 7 and 6 in the USDA hardiness zone map. 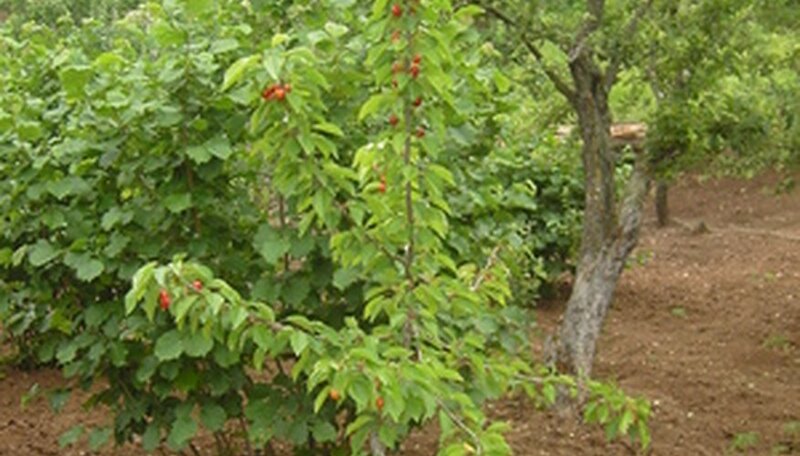 This means that Oklahoma is ideally suited to growing many types of fruit trees. Fruit tree planters have to contend with Oklahoma’s varying terrain from loamy soil in the panhandle to sand in the northern portion of the state and clay in the central part of the country. Fruit tree growers must also contend with Oklahoma’s high prairie winds, which can twist, warp or break a tree. Select a location for your fruit trees that is in full sun and is sheltered from the wind. If you do not have any shelter from the wind, you can construct a wind break by mounding up soil or building a fence around the location. Test the soil several months prior to planting your tree. A soil test can tell you what your soil structure is, what your pH is, and how to improve them. Oklahoma State University maintains a soil testing facility in conjunction with its community and continuing education program. Contact the county extension office in your county for information on how to collect a soil sample and where to send it. Purchase soil amendments based on the results in step 2. Soil amendments that you may need include gypsum to aerate clay soil, organic amendments for sand or clay soil and to improve the nutrient content of soil such as compost or manure, powdered lime to raise the pH of soil or powdered sulfur to lower the pH. Break up the ground with a rototiller and spread your amendments over the soil to a depth of 3 inches. Mix your amendments into the soil by running the rototiller over the soil again. Never amend just the planting hole for your tree, instead amend the whole plot of land. This will encourage your tree to spread its roots beyond the planting hole. Select fruit tree varieties that are hearty to zones 6 and 7. This may include stone fruit trees such as cherries and peaches as well as apples and pears. Dig a planting hole that is slightly wider but no deeper than the tree. Place the root ball of the tree into the hole and cover with soil. Fertilize with a liquid fertilizer that is low in nitrogen (0-10-10) according to package directions. Nitrogen promotes the development of leaves, while potassium and phosphorous encourage the growth of blooms and fruit. Mulch around the base of the tree to help keep water into the soil. Water with at least 1 inch of water every 10 days. Thin fruit down to the healthiest, largest fruit pieces as they develop. This will encourage your tree to put all of its energy into developing the best fruit. Plan a cycle of periodic spraying for bugs and disease to keep your tree healthy.